[PDF] Children and Young People's Response to Parental Illness: A Handbook of Assessment and Practice | Free eBooks Download - EBOOKEE! Description: Assessment of the impact of parental illness has gathered significant momentum over recent years. This book provides an up-to-date guide, for a variety of professionals, on how a range of conditions might impact upon children and young people. Each chapter provides an overview of current literature, an evaluation of relevant interventions, an in practice section that provides guidance for readers in terms of best practice, and future research directions. 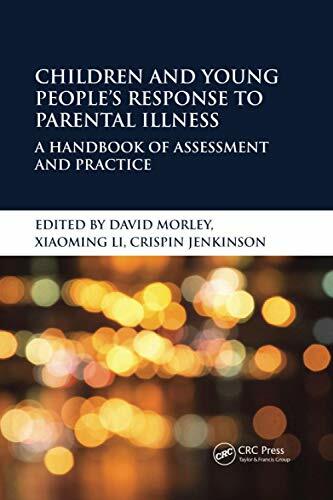 Although the primary focus of the book is directed at childrens and young peoples response to their parents condition, the challenges of parenting are also frequently highlighted. Additionally, the text provides an overview of measurement issues when investigating childrens and young peoples response to parental illness. No comments for "[PDF] Children and Young People's Response to Parental Illness: A Handbook of Assessment and Practice".